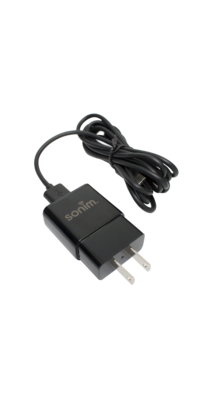 Sonim’s Wall Charger with Extended Length Cable is enabled with Qualcomm® Quick Charge™ to rapidly charge the massive 4900mAh battery in the XP8 handset, as well as the XP3 and XP5s handsets, in less than 2.5 hours. The combination of Sonim’s wall charger adapter and 5ft cable provides the optimal, regulated power to your compatible handset. The extended length cable allows you to conveniently and efficiently charge your handset throughout your work environment.